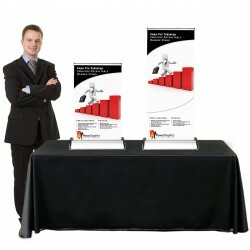 Available in 5 widths from 24" to 72"
Banner stands are an easily portable type of display that are commonly used for advertising or information displays at events such as trade shows, and also for event signage, retail displays, press conferences, presentations or any place you need a portable, professional looking display that is quick and easy to set up and take down. 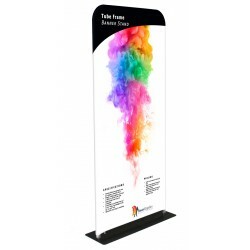 While trade show banner stands are the most common type of banner stand display, the incredible diversity we offer means we have banner stands for any display purpose. 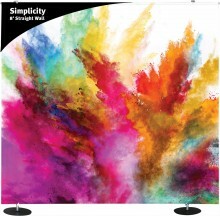 In addition to our huge selection of all styles of banners stands, we offer a wide range of custom printed banner options for each stand that are all printed in-house at our Utah facility. 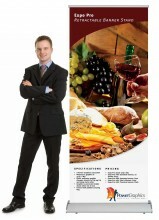 Each display can also be ordered without a banner for those who wish to provide their own printed banners. 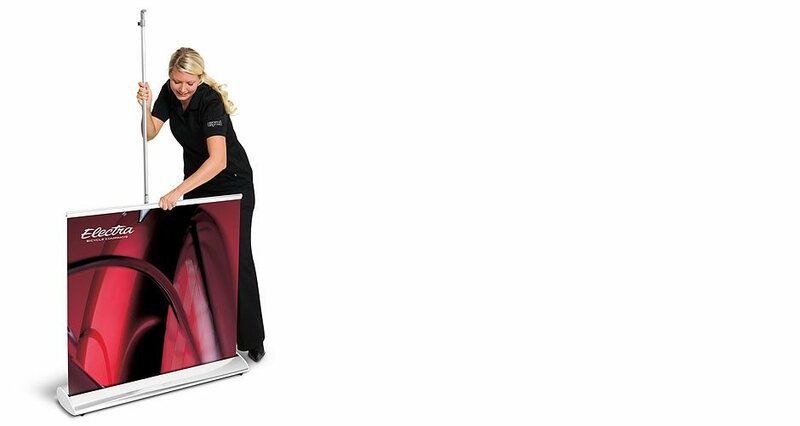 We have done extensive research on the materials we offer to make sure they are the best suited for banner stand use, so any banner option you choose is guaranteed to work correctly in the display. 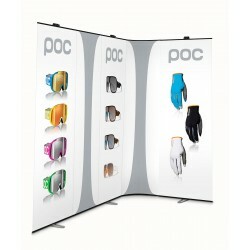 We offer options with each display from economy to premium materials that include vinyl, fabric, and trade show materials made of polycarbonate laminated film. Each option is printed at the highest quality on state-of-the-art equipment using eco-friendly printing methods that include LED cured UV printing and water based inks, depending on the banner material selected. 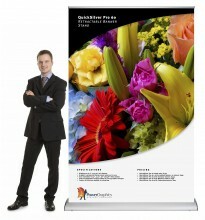 Some of the most popular styles of banner stands are described below. 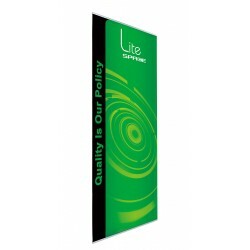 This style of banner stand, also called roll up or pull up banner stands, have a roller mechanism that retracts the banner into the base of the stand when it's not in use. 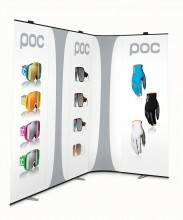 These are the most popular type of banner stands for trade shows and exhibits, as they are the easiest to set up and take down. Because of this, we offer more retractable banner stand models than any other type. From 15" wide to nearly 10 feet wide, and from 24" tall tabletop models, to ones that extend to 10 feet high, we have a huge selection to choose from that covers all price ranges. 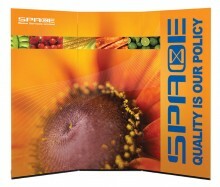 We even have a selection of outdoor retractable banner stands that are designed to hold up to wind and weather, and specially designed models that are perfect for connecting together into banner walls to make backdrops for trade show, expos, or press conferences. 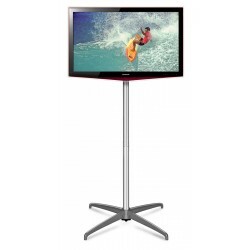 In addition to the popular brand name displays, we also carry our own exclusive models that are manufactured specifically for us from our own designs. 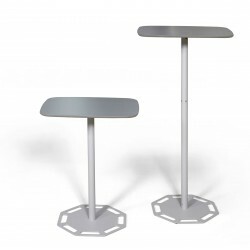 This allows us to offer sizes, styles and features that aren't available elsewhere to fit a wide range of needs. 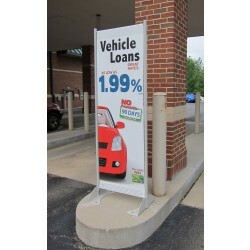 We've designed our own models with features that our customers have asked for over the years, such as banner attachment options that don't require any adhesives or special treatments on the banners, and adjustable height support poles with lever locks for ease of use. 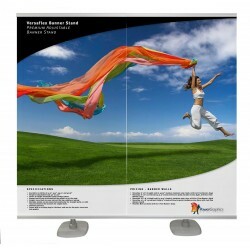 While virtually all banner stands are portable, this category includes the models that are non-retractable. 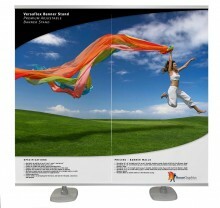 Some of the styles in this category are called tension back banner stands, L stands, or X banner stands. 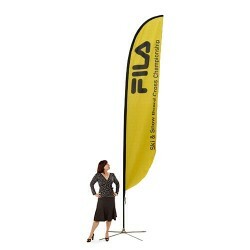 With these models, you must manually remove the banner and roll it up after each use. 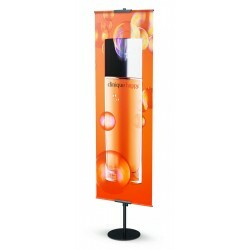 While not as quick and easy to set up as the retractable banners, these styles are very popular because they tend to be lighter weight with few or no moving parts, and even inexpensive models are extremely reliable. 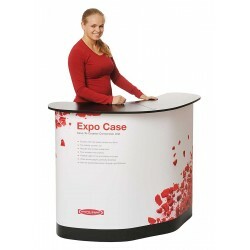 We carry stands designed for use at trade shows, for retail settings or for outdoor use. Our giant selection covers all different types, and includes many models that offer adjustable height thanks to telescopic poles that can be adjusted to any length within a given range. 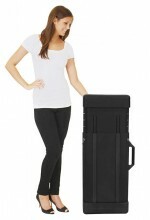 Some of the portable models also feature adjustable widths for the ultimate in versatility. We have outdoor models that are great for outdoor events and promotions, and many of these stands can also be used indoors as well, making them an excellent value for those who need a display that can serve both purposes. 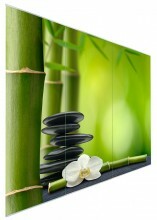 This style is also popular for connecting together into seamless banner walls. Since the banner is usually the same width as the display itself, there is no gap between the banners when placing them together. 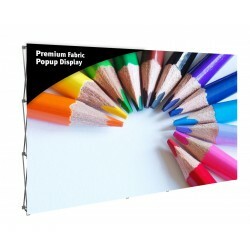 Several models are particularly well suited for this and come with connectors to join the stands together when used as a banner wall. 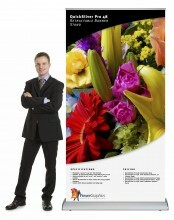 As the name implies, this category includes all the models that are designed to be used outside. 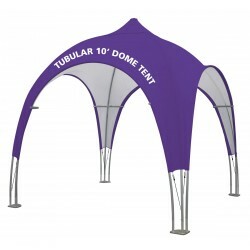 While all outdoor models could be used indoors, and many of them are designed so they can be used inside or out, they all have been designed to resist the elements so that they will survive in some amount of wind and weather. Some models are designed only for occasional outdoor use in relatively mild conditions, while others are designed to withstand more severe weather, but most can be adapted to a variety of conditions. Models with a hollow base can be used as is for indoor use, or weighted with water or sand for outdoor use. The retractable models with stabilizing feet and spring loaded support poles can be anchored with stakes in windy conditions to make them even more stable. Feather banners can be used with ground stakes, water filled bases, or X bases with optional water weights so that they can be used on virtually any surface, and canopy tents have ground spikes to help secure them in light winds. 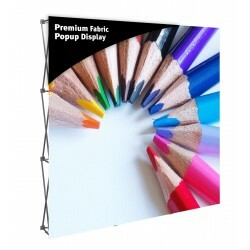 So no matter what type of banner display you are looking for, and where you want to use it, this category almost certainly has a outdoor display to fit your needs. In addition to banner displays, we also offer accessories such as table covers and table runners, shipping cases, and the largest selection of replacement parts you'll find anywhere to help keep your banner stands working properly. 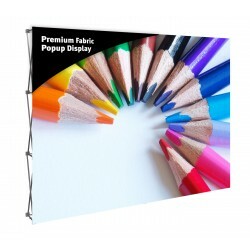 Even if you didn't purchase your stand from us, we can provide replacement banners and we're happy to exchange the banner in your display for a small fee, or we have instructions available for most stands on how to do this yourself. For many models, we even have video demonstrations of the process, and if all else fails, we're happy to talk you through the process on the phone. Check out the About Us page to learn more about what makes us different, and why you'll be happy you found us.